Residents are encouraged to recycle their rubbish. 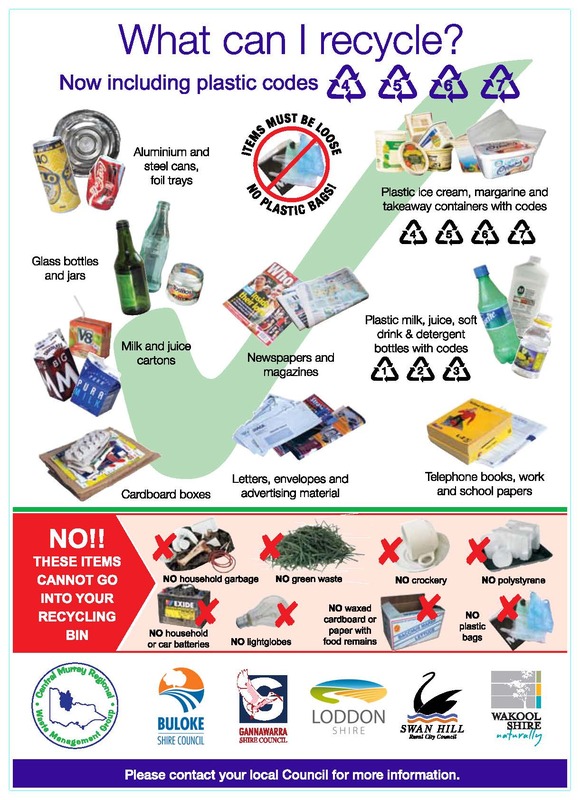 Recycling is collected on a fortnightly basis; however customers can take their own recycle bin to landfill as long as the newspapers and cardboard are kept separate to the other recyclables (cans, bottles, plastics etc). This can be delivered free of charge. Most household packaging waste is recyclable and need not to end up in your garbage bin. You can reduce the volume of waste created in the home simply by using our service to recycle as much as you can. Recycling will also help to conserve our environment and reclaim valuable resources. Did you know that every tonne of recycled paper used saves 13 trees, 2.5 barrels of oil, 4,100kWh of electricity, 4 cubic metres of landfill and 31,780 litres of water?